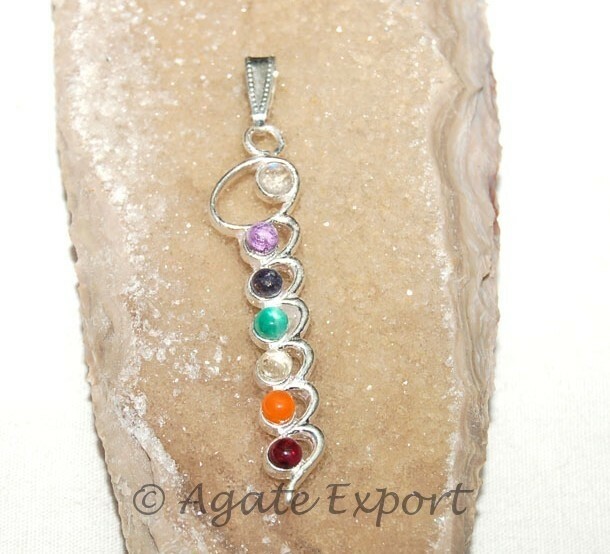 A delicate piece of jewelry, chakra zigzag journey pendant is made of seven chakra stones, one for each body chakra. Rainbow moonstone for throat chakra, amethyst for crown chakra, lolite for third eye chakra, peridot or heart chakra, golden topaz for plexus, carnelian for sacral chakra and garnet for root chakra. You can order this stunning pendant on Agate Export.